The Mavericks are about as safe of a bet as there is to reach the postseason as they’ve done it 10 years in a row. They are also a pretty safe bet to fizzle out in the first round; they’ve done that three out of the last four years. Regardless of their postseason shortcomings since a trip to the NBA Finals in 2006, the Mavericks are once again looked at as a contender in the Western Conference for two reasons: Dirk Nowitzki’s jump shot and Mark Cuban’s wallet. Nowitzki is 32 years old now, but still in the prime of his career and Cuban does not know the meaning of rebuilding or youth movement. It is ‘all or nothing’ for the billionaire owner and once again he has ensured that the pieces are there around Nowitzki to allow the Mavericks to contend in the west. A starting five built around Nowitzki, Jason Kidd, Caron Butler, Shawn Marion and Brendan Haywood looks above average. But when you take into account the depth of the Mavericks that is when they start to resemble a potential Western Conference contender. Sixth-man extraordinaire Jason Terry remains in the mix and Cuban made his annual free-agent splash by bringing Tyson Chandler aboard and midseason acquisitions of Haywood and Butler will only benefit from an entire offseason with their team. Kidd is aging, but he’s still an elite point guard in the league. The Mavericks have two solid complements to help keep him fresh, Jose Barea (7.6 ppg, 3.3 assists per game) and Rodrigue Beaubois (7.1 points per game). 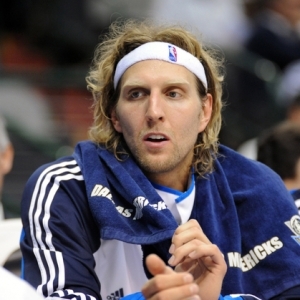 The Dallas Mavericks schedule opens against Charlotte at home on Wednesday Oct. 27. They play six of their first nine games at home. Their first big test comes in the form of a home-and-home series with Denver in the fourth and fifth game of the season followed by a home game against Boston. In the most prized free agency field of all time Cuban stayed surprisingly quiet, but his acquisition of Chandler will surely end up defining this offseason. Chandler played 51 games in his only season in Charlotte and 45 in his final year with New Orleans. He has not averaged double figures in either scoring or rebounding since 2007-08, but that was also the last year he was healthy. If he can stay healthy then Chandler could prove to be a steal of free agency. The Mavericks first-round choice this season, guard Dominique Jones (South Florida), could have an impact as the season goes on. Dallas’ NBA odds to win an NBA Championship this season are +1800. To win the Western Conference the Mavericks are priced at +1000 and they are tied for third best odds with a slew of teams with odds of +500 to reach the Western Conference Finals. NBA odds are courtesy of BetUS. The roster is loaded with players with playoff experience and Cuban is not afraid to beef up the roster in midseason. Chandler looks to be one of the few question marks in this otherwise rock solid group and the combination of Kidd and Nowitzki can never be discounted. The Miami Heat are the clear-cut favorite to represent the Eastern Conference in the NBA Finals. A rematch of the 2006 NBA Finals does not seem like much of a reach. Doc’s Sports can’t wait for another profitable NBA picks season. Picks will be available starting Tuesday, Oct. 26. Doc’s Sports has become known as one of the best at NBA handicapping in the nation with three of four winning seasons - $100 bettors are up $18K in the last four years! Early Bird specials will be posted soon, so check our homepage regularly. Also, check our home page daily updated NBA lines, NBA exclusive daily betting articles and daily matchup reports.